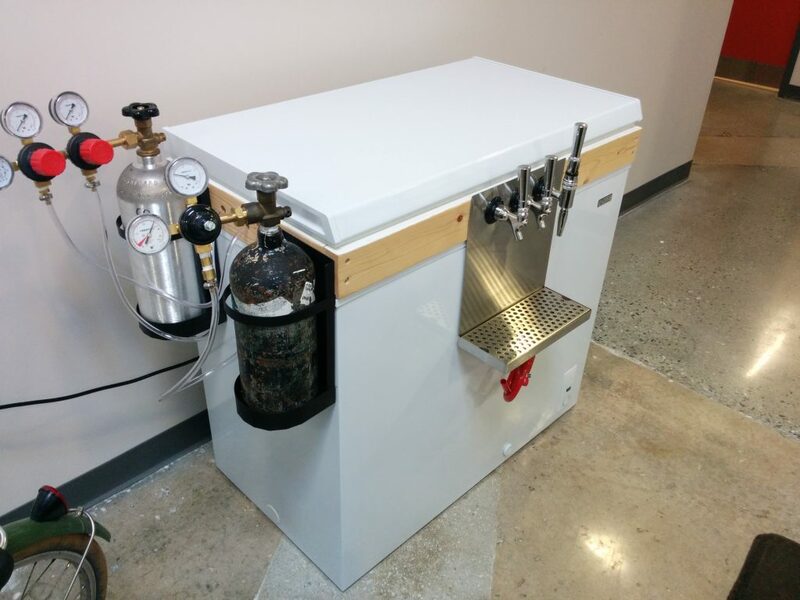 One of the last side projects I worked on before leaving Big Nerd Ranch was to build a kegerator for the office. We wanted to have beer and nitro iced coffee on draft. 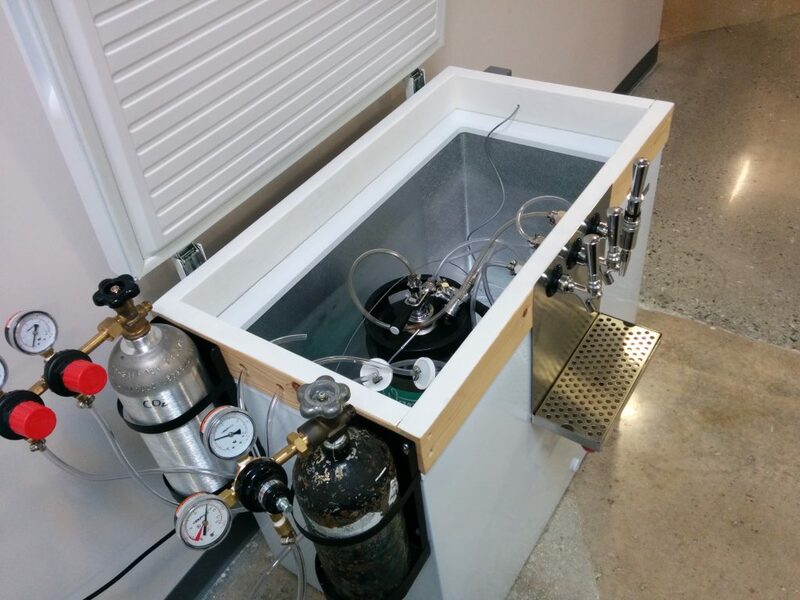 We didn’t want to buy a setup for carbon dioxide and nitrogen so we built one. I got the design idea from Chris Donnelly to take a normal chest freezer and convert it without damaging it. The general idea has been done before where you insert a wooden “collar” between the freezer and the lid. All plumbing then goes through this collar. Most people end up just gluing the collar to the base and then screwing the existing hinges to the collar. 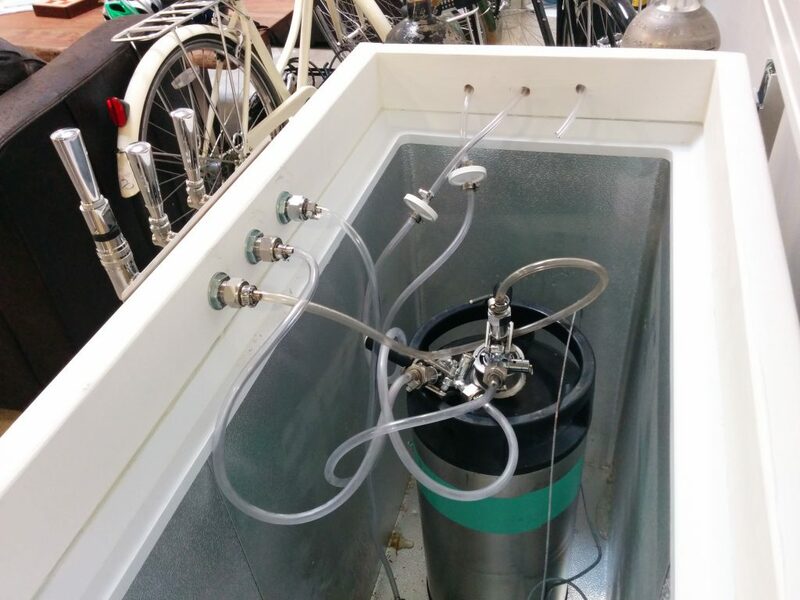 I wanted to make our kegerator both more robust and more maintainable. If the wood ever starts to rot or degrade you’ll have to pry it off the kegerator. Glue is the absolute worst when trying to design something to be re-buildable. 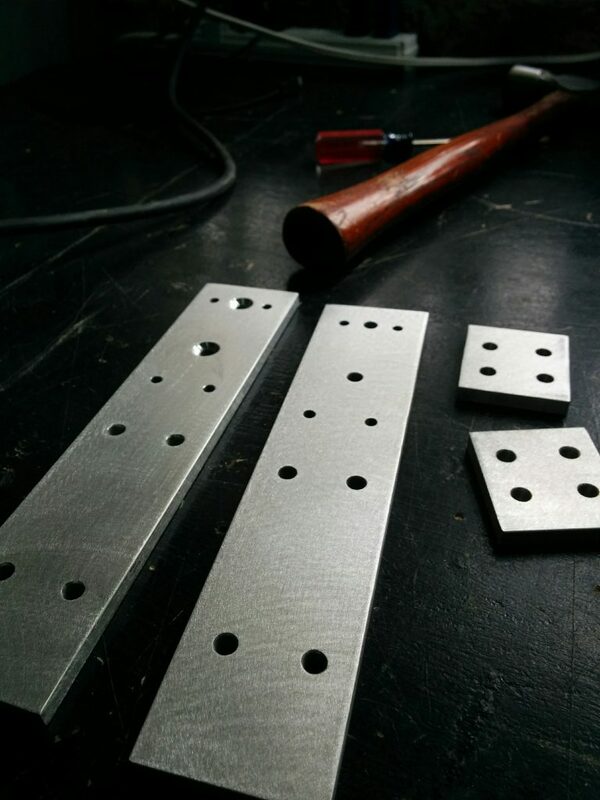 So I machined some metal brackets which would work with existing mount points on the base, hinge, and lid. The brackets worked perfectly and allowed the base, collar, and lid to be fastened together and be easily serviceable.Because I didn’t modify the hinge, the plastic cover reattached perfectly. I built the collar out of pine 2×4’s and coated the inside with outdoor deck paint and linseed oil on the outside. 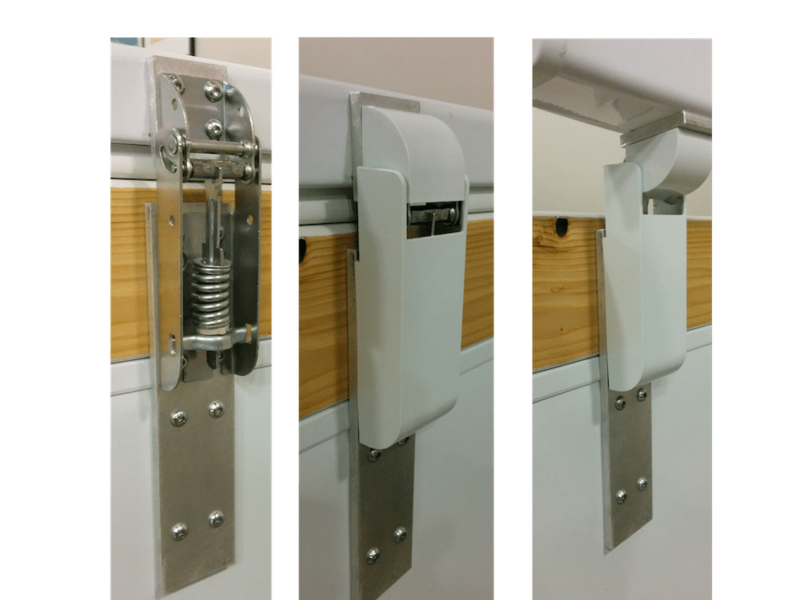 A common problem with these types of kegerators is that the wood degrades quickly when exposed to the moisture inside the fridge. I made sure to pick out a freezer that would hold three torpedo kegs and two gas bottles. In the end we decided to mount the bottles outside of the kegerator but there was room inside if we wanted to. If I had to redo this project I think I would have kept the bottles inside the kegerator. I had to do some hacking to get the gas lines through the collar cleanly. Since this is a freezer, we couldn’t just plug it in and have it work. I picked up a plug-and-play regulator and attached to the side of the collar. The rest of the plumbing is off-the-shelf parts from online and local brewery supply stores. In the end we have two carbon dioxide lines, each on its own pressure and one nitrogen line. This worked pretty well and everyone in the office was pretty happy.